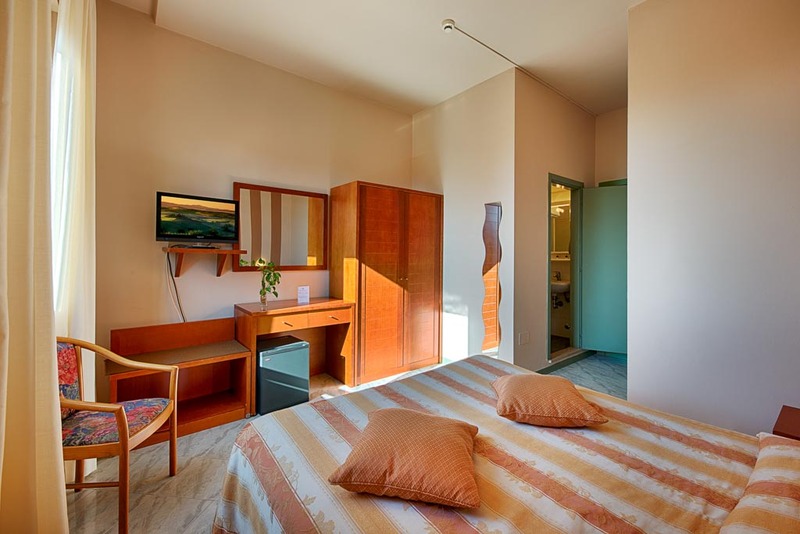 The 35 rooms of Hotel Castello, comfortable and spacious, can accommodate from 1 to 4 guests: the different typologies satisfy both those who travel alone, perhaps for work, as a couple or a family. 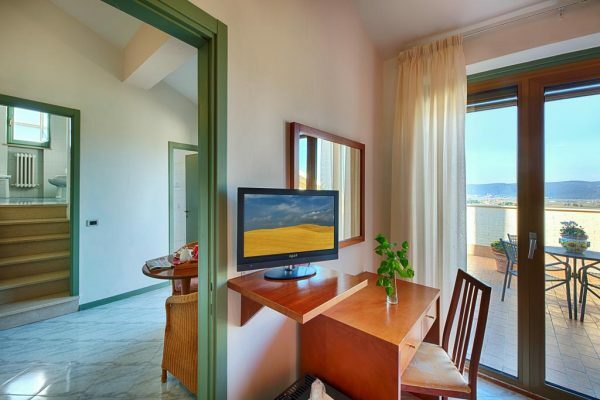 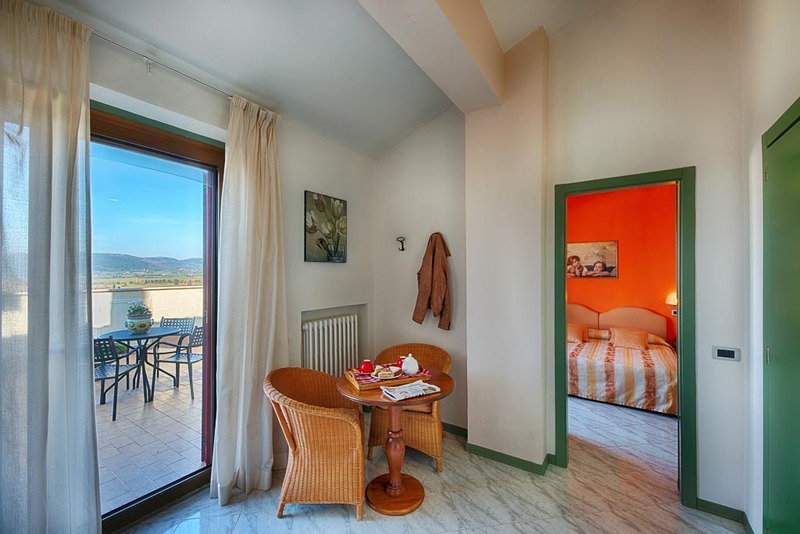 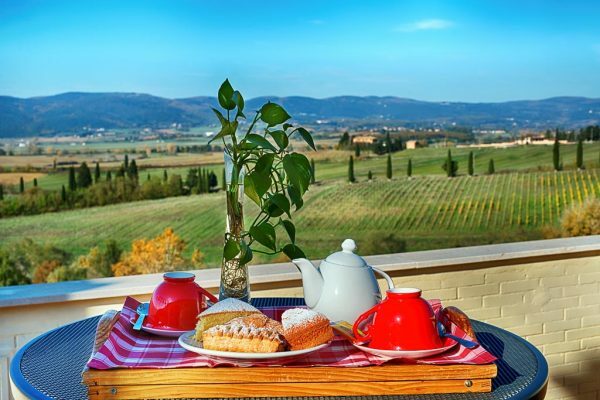 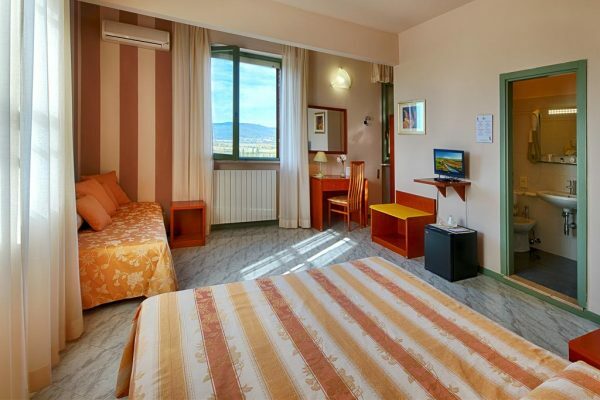 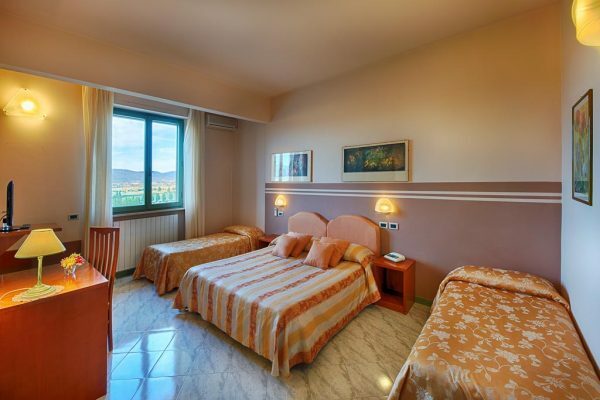 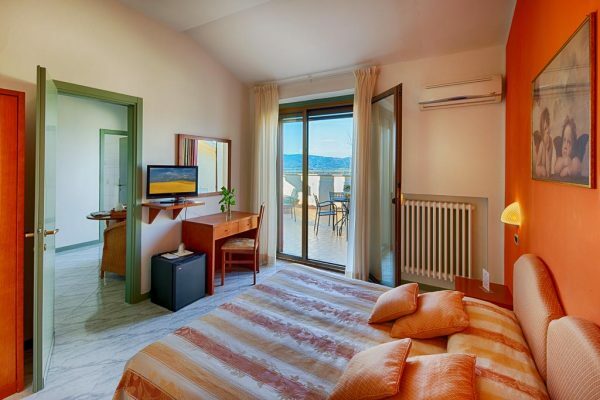 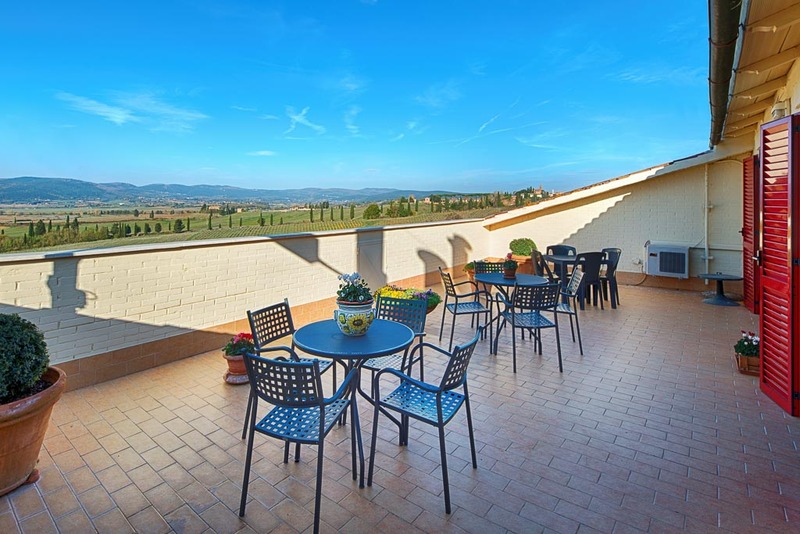 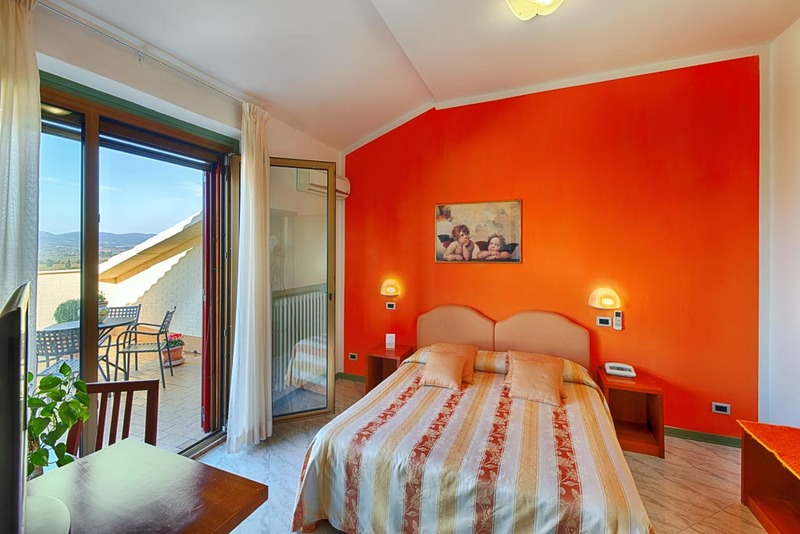 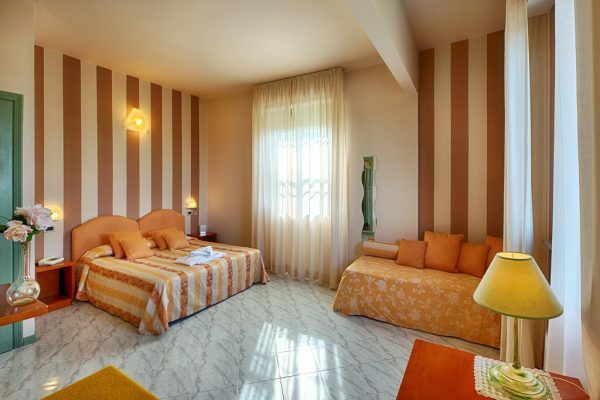 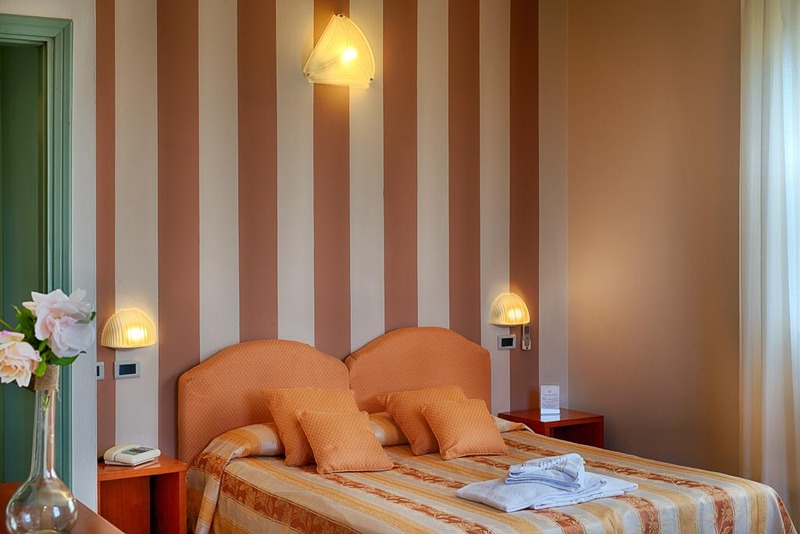 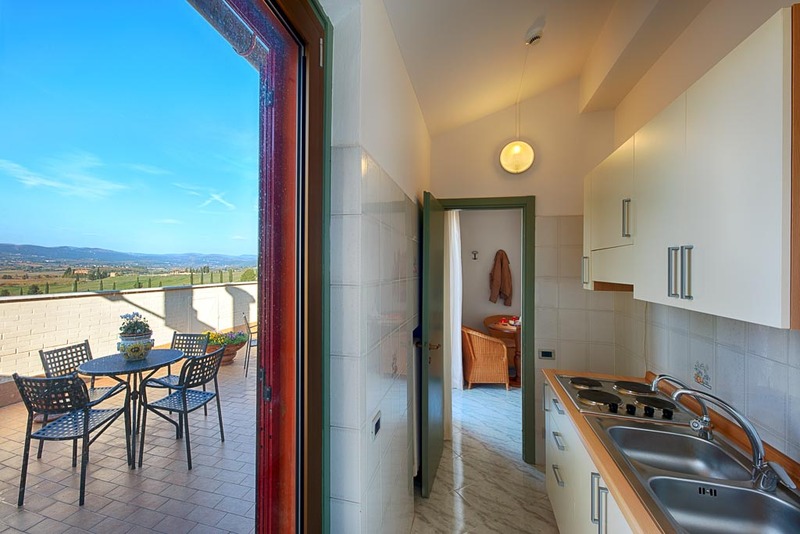 On the third floor of the hotel there is a beatiful junior suite, with a large terrace overlooking the Sienese hills. On the ground floor there is a comfortable room for disabled. 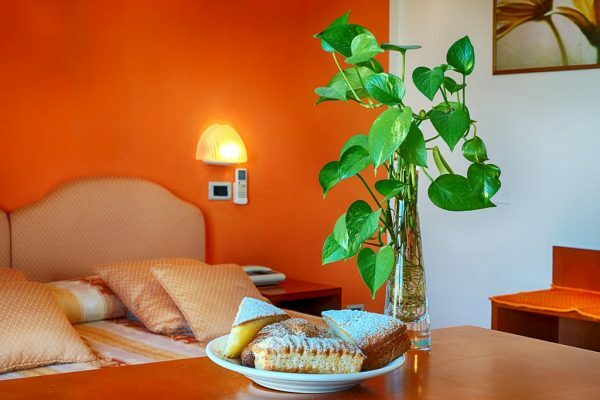 When you wake up you will have a rich buffet breakfast with sweet and savory dishes, served in a panoramic room. 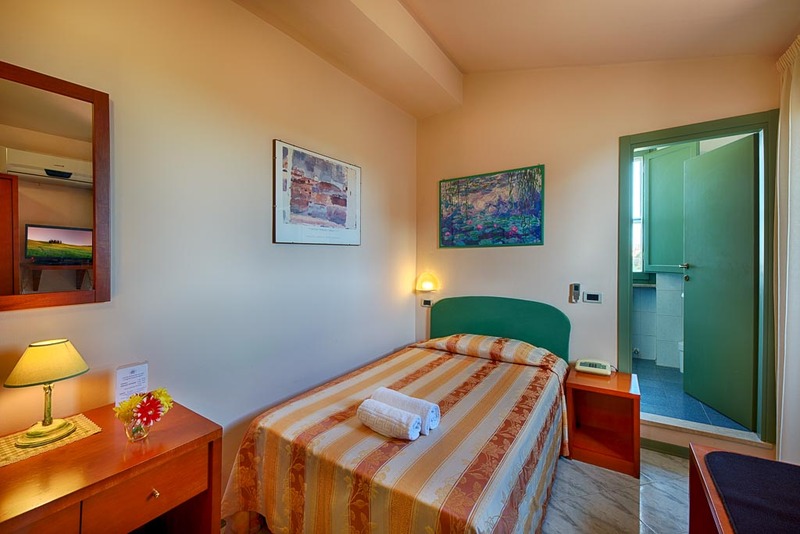 You can book a professional massage directly at the hotel.